Business Address Labels For A Professional Looking Image - Value Checks has a complete line of mailing address labels. In the business style you have colorful label designs that have business imagery and you'll find plain and classic mailing labels that are mostly white in color and have a detailed border in red, black or blue. 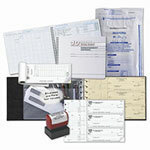 Discounted prices make these business accessories a must have for your business. Thank you for shopping for your business address labels at Value Checks. We guarantee you will be satisfied with your order. Cheap labels don't mean skimping on quality. To the contrary, it means you have high quality, professional looking labels that will suit your companies' mailing needs. Order today and get your labels delivered quickly through the mail. Best prices and selection of address labels online.